Give your heart health some attention! The heart is like your engine room, pumping nutrient-and-oxygen-rich blood throughout the body and beating 100,000 times a day. That’s almost 40 million times a year. So if you don’t treat your heart right, with daily activity, good food and exercise – and natural heart health supplements – you could be setting yourself up for trouble. When it comes to your health, heart disease is like public enemy No. 1. It’s the top killer of men and women worldwide. And I’m sure our sedentary fast-food culture in America isn’t doing us any favors. There are routine prescription medications to reduce the risk factors and control blood pressure, but they can be expensive and come with serious side effects. 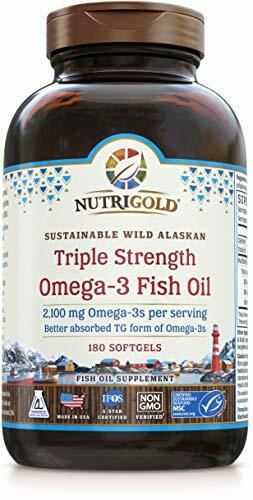 People are always asking me what natural heart health supplements they should be Nutrigold Triple Stren... Buy New $56.24 (as of 04:45 EDT - Details) taking on a regular basis. There are a number of natural remedies for heart to be on the lookout for, and I’ve rounded up the top 10 to get you started. Fat is not the dietary villain it used to be cast as. While you don’t want too much of the saturated kind found in butter, cheese and red meat, you do want to consume omega-3 fatty acids that are essential nutrients for health – for things like blood clotting and building cell membranes in the brain. Two crucial ones, EPA and DHA, are found primarily in certain fish, especially oily fish like salmon, tuna, mackerel and lake trout. Not a fish fan? Countless studies have documented the benefits of fish oil natural remedies for heart, including protection against heart disease and possibly stroke. Most important to note, since our bodies cannot make omega-3 fatty acids, we have to get them through food or natural supplements. Coenzyme Q10, known as CoQ10, is a vitamin-like substance found everywhere in the body. Your cells use it to produce the energy you need for cell growth and maintenance. It also works as a natural antioxidant to fight against cell damage. And CoQ10 is big news in natural supplements for heart health. Its highest concentrations naturally-occurring in the human body have been measured in your vital organs, like your heart and pancreas. Clinical trials in the United States and Europe have shown that CoQ10 supplementation has helped support a strong and healthy hart by helping provide the heart with the energy it needs. 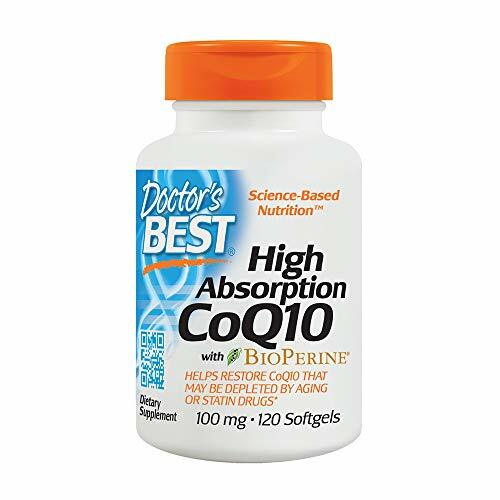 Doctoru2019s Best High... Buy New $12.50 (as of 11:20 EDT - Details) The interesting thing about coenzyme Q10 is that a healthy, youthful human body can make its own CoQ10, so at age 20, it’s suggested that your heart has a higher CoQ10 level than other major organs. But by age 80, heart levels of CoQ10 are far lower. Add to the mix, statin drugs, commonly prescribed for lowering cholesterol for the good of your heart, may interfere with your body’s natural production of CoQ10. So there’s good reason to try this natural supplement for heart health. In a notable 2014 study out of University of California, Los Angeles (UCLA), aged garlic extract, a natural supplement for heart health, was found to provide incredible support for heart and overall health. 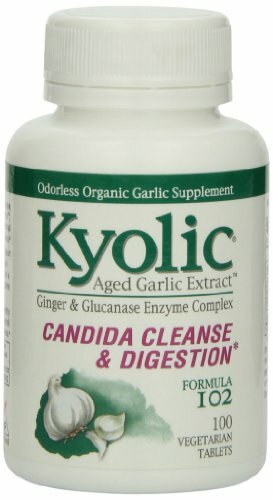 Another plus for garlic extract is that it’s odorless, so no need to turn off your friends or partner with garlic on your breath. Reach for capsules instead of bulbs. 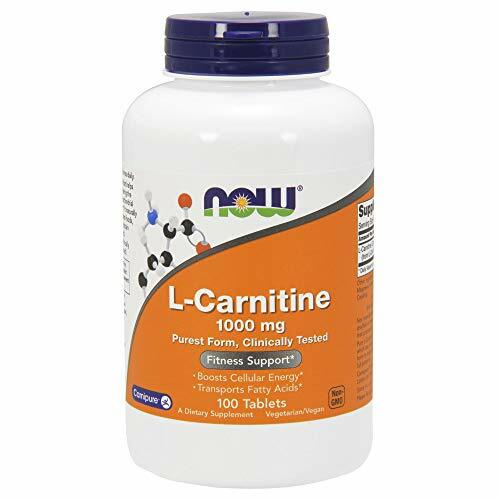 NOWu00ae L-Carnitine, ... Buy New $26.30 (as of 11:00 EDT - Details) Why is everyone talking about tomatoes as a natural remedy for heart? They’re tasty in salads and pasta sauce, certainly, but it’s their lycopene which makes them a great natural supplement for heart health. Lycopene is a carotenoid, a family of pigments that color fruits and vegetables those bright reds, yellows and oranges, so you’ll find lycopene in lots of good-for-you produce. It’s another powerful antioxidant that helps fight off invaders that cause cell damage and make you sick. Studies on lycopene have demonstrated its effectiveness as an antioxidant that can help protect your heart. One published by Finnish researchers in followed over 1,000 middle-aged men for 12 years and found those with the most lycopene in their blood had significant odds for having good heart health. Your body makes L-carnitine to help turn fat into energy – we all need that! It’s made in the liver and kidneys and stored in your muscles, heart and brain. Problem is, some people can’t make enough of it or transport it to tissues to be used. Swanson Maximum Streng... Buy New $5.22 (as of 05:40 EDT - Details) Many factors can lower your body’s levels of L-carnitine. But there’s good evidence to show that supplementing with L-carnitine can help with physical performance. By helping you exercise better, L-carnitine can help you support your heart health. Plant sterols supplements are made from plant sterols, the natural compounds found in fruits and vegetables, vegetable oils, nuts and whole grains. They’re good for cholesterol control, which is good for your heart. In fact, studies have demonstrated that plant sterols, included with a heart-healthy diet, may reduce your risk for heart disease. 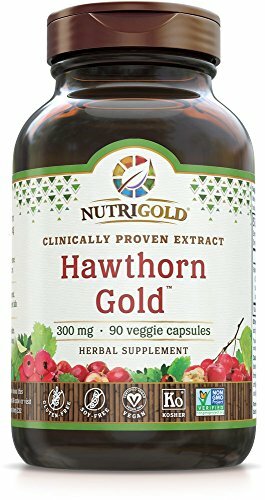 They block the absorption of cholesterol in the small intestine, which lowers the low-density “bad” LDL cholesterol without lowering Nutrigold Hawthorn Gol... Buy New $18.39 (as of 01:50 EDT - Details) the high-density HDL good cholesterol. All good news for your heart. The leaves, berries, and flowers of the Hawthorn plant have long been used in traditional herbal medicine to help support a healthy heart. Hawthorn extract is known for its relaxing, calming effect. It’s also excellent for digestion. Talk to your doctor before taking because it does interact with certain prescription medications. Another top natural supplement for supporting heart health is niacin or vitamin B3. Higher amounts of niacin have been linked to healthy cholesterol levels and reduced cardiovascular risks. Because niacin is a water-soluble vitamin, any Life Extension Vitamin... Buy New $5.78 (as of 07:20 EDT - Details) niacin your body doesn’t need is excreted in urine. It’s not stored in your body for later use, so you need to make sure to consume it daily. Arginine is another essential amino acid in your body that changes into nitric oxide, a powerful brain chemical that helps blood vessels relax and improves circulation. Arginine has been getting quite a bit of attention for its potential heart benefits, and that’s why it’s important to include on my top 10 list here. There’s evidence to suggest it helps improve blood flow in the arteries of the heart. As a result, this can help with symptoms of clogged arteries, chest pain or angina, and coronary artery disease. This supplement is worth considering, especially if you’re at risk for heart disease. 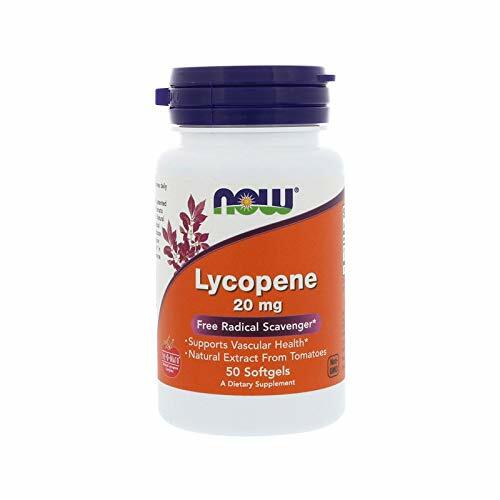 NOW Sunflower Lecithin... Buy New $10.78 (as of 12:20 EDT - Details) Another natural supplement is lecithin, a fatty substance found in plants, egg yolk, meats and soy – and produced naturally in your body. It’s essential for cell function, helping with the delivery of nutrients into your cells. Lecithin has a B-vitamin-like substance called inositol to help maintain healthy cholesterol and blood pressure, both key for the health of your heart. So the idea is, by adding lecithin to your diet, you’ll provide some of the raw materials your cardiovascular system needs to stay in top shape. Now, there has been some controversy about lecithin, with studies showing high levels of lecithin in the gut bacteria of people with cardiovascular disease, but nothing definitive. There’s no argument that it’s certainly a natural substance your body requires. As with any new supplementation, please speak to your doctor before trying this natural remedy for heart. Ready to give your heart some love? A heart-healthy diet, exercise and – let’s face it – keeping your stress to a minimum, will go a long way to protect your ticker. And trying natural supplements for heart health can offer you the added insurance you’re doing some good things for your heart.